This paper describes the assessment of a predictive braking assistance system, which is done using a driving simulator that reconstructs near-miss incident scenarios relevant to pedestrians. An autonomous braking assistance algorithm for collision avoidance is designed based on pedestrian movement prediction and an artificial risk potential field. A virtual spring connecting the vehicle and the pedestrian is used to determine the repulsive potential field and the intensity of the deceleration. The feasibility of the proposed braking assistance algorithm is examined through experiments using the driving simulator and a comparison to actual driving data. Near-miss incident data relevant to pedestrians in intersections are analyzed to get the basic parameters of a crash scenario model relevant to pedestrians. Driving simulator experiments are used to verify the effectiveness of the proposed system. P. Raksincharoensak, Y. Akamatsu, K. Moro, and <. Nagai, “Driver Speed Control Modeling for Predictive Braking Assistance System Based on Risk Potential in Intersections,” J. Robot. Mechatron., Vol.26, No.5, pp. 628-637, 2014. National Police Agency, “The White Paper on Police 2011 (Digest edition) Chapter 3 Ensuring Safe and Comfortable Transportation,” pp. 31-33, 2011. E. Coelingh, A. Eidehall, and M. Bengtsson, “Collision Warning with Full Auto Brake and Pedestrian Detection – a practical example of Automatic Emergency Braking,” Proc. of IEEE ITSC’10, pp. 155-160, 2010. U. Franke, S. Gehrig, and C. Rabe, “Hazard Detection Faster than the Human,” ATZ Technology, Vol.114, No.07-08/2012, pp. 52-55, 2012. 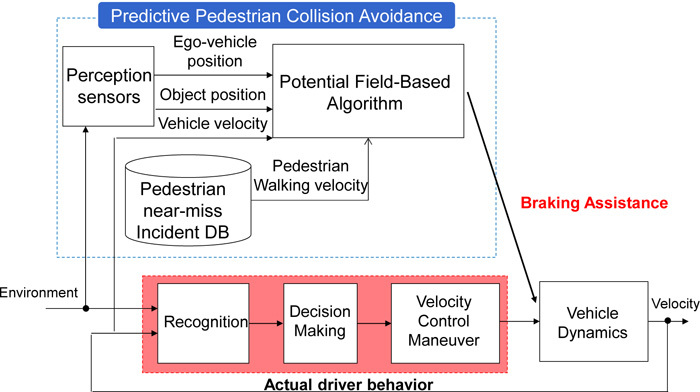 H. Hayashi, R. Inomata, R. Fujishiro, Y. Ouchi, K. Suzuki, and T. Nanami, “Development of Pre-Crash Safety System with Pedestrian Collision Avoidance Assist,” Proc. of ESV Conf., Korea, Paper Number 13-0271, 2013. C. G.Keller, T.Dang,H. Fritz,A. Joos, C. Rabe, andD. M.Gavrila, “Active Pedestrian Safety by Automatic Braking and Evasive Steering,” IEEE Trans. on Intelligent Transportation Systems, Vol.12, No.4, pp. 1292-1304, 2011. S. Makabe, “Active Safety System New EyeSight Version 2,” J. of Society of Automotive Engineers of Japan, Vol.66, No.3, pp. 88-93, 2012. S. Schramm and F. Roth, “Method to Assess the Effectiveness of Active Pedestrian Protection Safety Systems,” Proc. of ESV Conf. 2009, Paper No.09-0398, 2009. O. Khatib, “Real-Time Obstacle Avoidance for Manipulators and Mobile Robots,” Int. J. of Robotics Research, Vol.5, No.1, pp. 90-98. M. Nagai, Y. Michitsuji, M. Kamata, M. Shino, and K. Maeda, “Research on Incident Analysis Using Drive Recorder Part 2: toward Active Safety Assessment,” Proc. of FISITA 2006, Yokohama, Japan, No.F2006V202, 2006. P. Raksincharoensak, D. Hasegawa, I. Iwasawa, and Y. Michitsuji, “Hazard-Anticipatory Driver Modeling for Preventing Pedestrian Collisions in Unsignalized Intersection,” Proc. 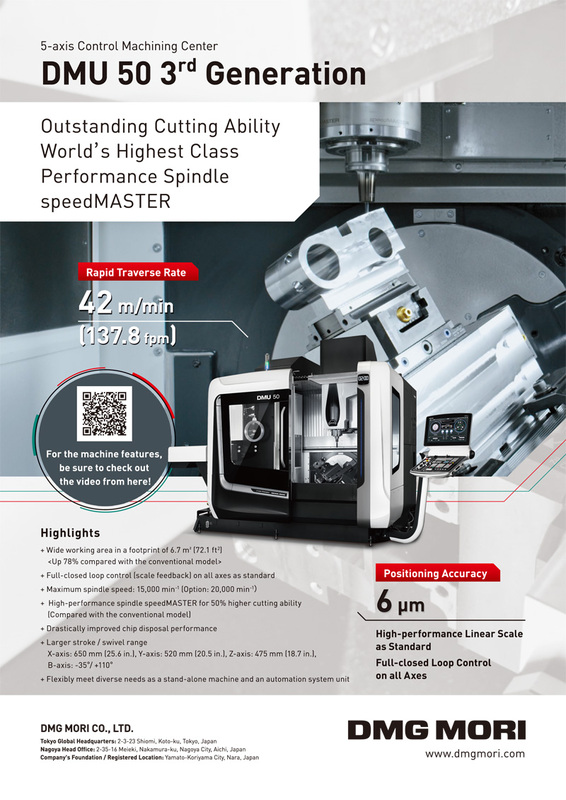 of JSAE Annual Congress (Spring), No.3-12, pp. 7-12, 2012. Nikkei Publishings, “Zero-Crash Cars Up to 60 km/h,” Nikkei Automotive Technology, pp. 60-65, 2011. [a] Cabinet office, Government of Japan, “White Paper of Traffic Safety,” 2014.